Grow effortlessly as you simplify processes, reduce errors and cut down admin tasks – for yourself and customers. 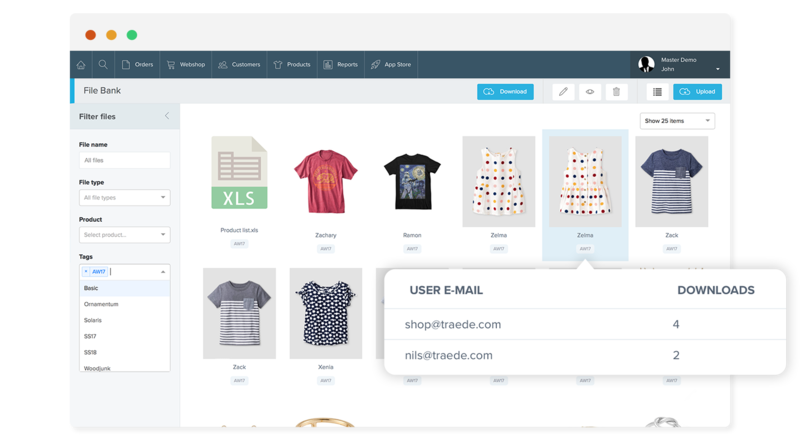 Traede is an intuitive ‘all-in-one’ business management solution, designed to empower you. 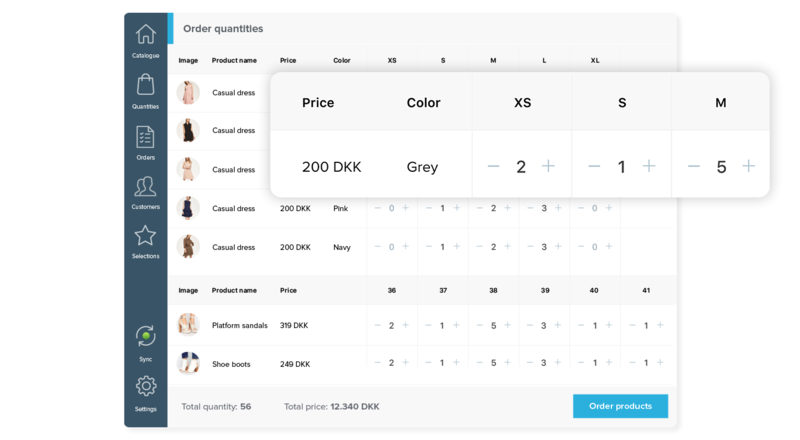 With a personalized B2B webshop created by Traede your customers will be able to find, select and order all your products online. Get the best tool for selling on-the-go, free up ressources and focus your attention on your customers instead of a piece of paper. 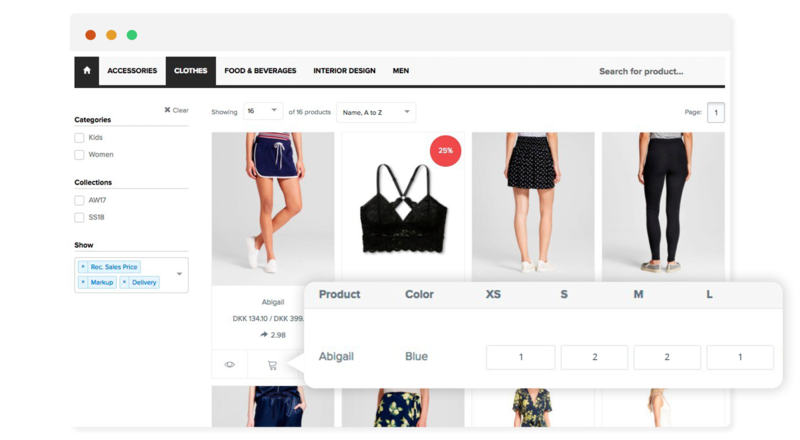 Give customers access to find and download product images, lookbooks and product information and save time and ressources.